Check out my Newborn Hatstravaganza starting on March 11th for free patterns for the newborn hats you see in this post. New here? Subscribe (using RSS), Sign up for Emails, or Follow using Blogger to make sure you don't miss a thing! 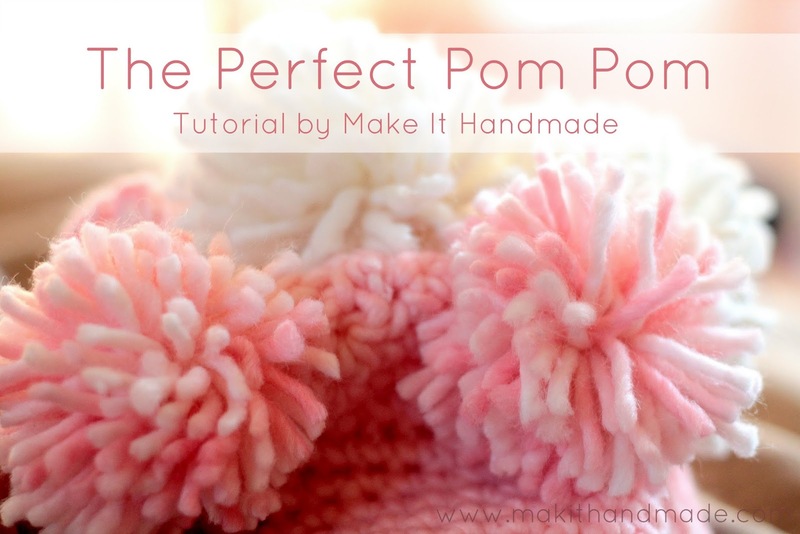 Here's an easy one for you all-- the Perfect Pom Pom tutorial! Long before I sewed, or knit, or attended middle school, I crocheted. In fact, (and I'm aging myself here), I crocheted before the Internet. 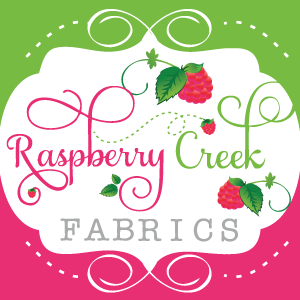 I crocheted shawls and blankets and little hats for years. And all that time, I made crummy pom poms. Pom poms that would fall apart, where the yarn would pull out, that would fall off the hat, and pom poms that just generally looked scraggly. After a while (somewhere around the 7th grade), I became discouraged and decided that pom poms were childish and a waste of good yarn, and I never made them again. Until... A few months ago a friend of mind mentioned that she might appreciate a few crochet pom pom hats for her impending arrival. I was nervous, but I decided to face my fears and figure out how to make the perfect pom poms! After a few hours research and trial and error I think I've come upon the perfect pom pom method-- and I want to share it with you! This is a fairly simple method, with a few tips along the way for making a secure, full looking pom pom. First, take your yarn and begin winding it around your fingers, holding down the edge with your thumb. To make identical pom poms, count how many times the yarn is wrapped your hand. For this bulky yarn, I wrapped around forty times-- thinner yarn would have to be wrapped more. Slip it off your hand to tie it off. For an extra secure pom pom, use a surgeon's knot. Here's a close up of what the knot looks like. Here's the secret to getting a really secure, baby proof hold-- use both wool and sewing thread to tie the pom pom. Use the same surgeon's knot with the thread and pull tight! Cut the pom pom loops with a sharp scissor making sure to leave the sewing thread and tying off yarn alone. This is the step that I used to always get wrong-- you must trim your pom pom! Using sharp scissors will help blunt the ends of the yarn, giving it that poofy pom pom look. I used my sewing scissors for this part. And there you have it, a perfect pom pom for a very special hat. Secure the pom pom to the top of the hat useing the sewing thread tails. Weave in the yarn tails so they are hidden. And here is the hat all finished. I had so much fun making these that I can't believe I missed out all those years! Happy pom pomming! You can use these to make garlands, wrap gifts, or (of course) to top off tiny little hats! Thanks for the demonstration. I tried it and it worked for me. Thank you for the simple yet effective demonstration. I tried it and it worked for me. Thanks for your lesson!! The pictures are very helpful. I will try this right away! I am making a hat for my granddaughter! I've tried this 5 times now, and every time, it looks like a messed up mustache and all of the yarn falls out. What am I doing wrong? Please respond! My pom pom looks wonderful, but If I pull on a strand of yarn it will pull out. I pulled tight, cinched down, and cinched some more with a surgeons knot. Any in site or tips?